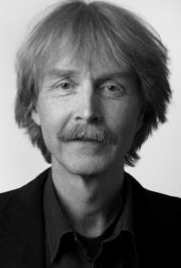 Dr Jan S. Fuglestvedt is Research Director/Special Advisor at CICERO. He has centered his research on atmospheric chemistry and climate interactions, and modelling of atmospheric and climatic impacts of different human activities, in particular the climate impacts of the transport sectors. He has also actively contributed to research on the effects of short-lived climate forcers and their potential role in mitigation strategies. He was Lead Author in IPCC AR5 WGI, Contributing Author in WGIII and Member of the Core Writing Team for the Synthesis Report. In October 2015 Fuglestvedt was elected Vice-Chair of IPCC WGI. Fuglestvedt has been member of the Norwegian Minister of Climate and Environment’s Climate Advisory Board since November 2014.